​​WAXAHACHIE, SACHSE – Two new assisted-living communities—one in Waxahachie and one in Sachse—are coming to North Texas. The two communities will bring some living options to the region for residents with development delays or special needs. The new community will give seniors and people with intellectual and development delays a safe community to live independently, said John Poston, president of Daymark Living. Developer Aspen Heights Partners and real estate investment firm Montgomery Street Partners began construction on a Daymark Living community in Waxahachie, which sits south of downtown Dallas. Plans for the project include 28 resort-style cottages and outdoor amenities on a 40-acre tract within a ten-minute walk to downtown Waxahachie. 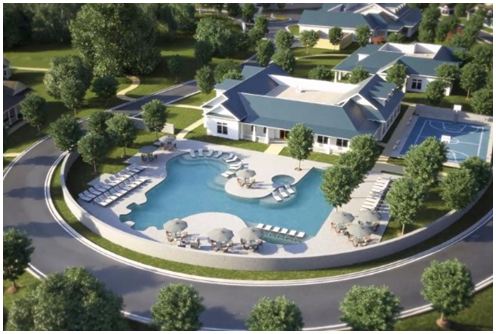 Dallas-based Mustang Creek Estates has also begun construction on its latest North Texas community: A $7.5 million, 42,000-sf assisted and memory care community in Sachse. The residential-style community will accommodate up to 16 seniors in each home, with in-home care service provided. In all, the community will create 50 jobs that can provide care for 90 residents. The community will sit on a seven-acre tract at 3900 Ranch Rd. in Sachse. Construction is underway and the community is scheduled to open fall 2017.